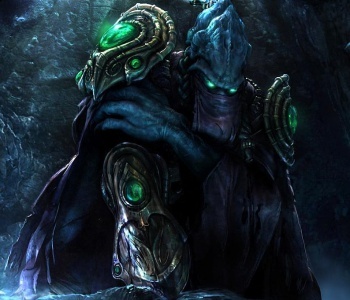 Two professional StarCraft 2 players have been implicated in a match fixing scheme with ties extending to organized crime. Dealing with cheaters is frustrating enough for casual games, but once you enter the pro gaming circuit it's at a whole new level. Just look at Prime, a Korean StarCraft 2 team where coach Gerrard and team member YoDa were banned for life due to their involvement with match fixes and illegal betting moves. And they're only part of an elaborate fixing scheme with ties to an eSports journalist and two former gangsters. The fixes took place on games between January and June, including GSL Season 1 and SKT Proleague Season 1. During this period, Gerrard ordered YoDa to purposely lose matches to create fixed bets. In one example, Gerrard allegedly received 10,000,000 Korean Won (roughly $8,900 American) for YoDa to lose a GSL match. Gerrard also contacted player BBoongBBoong about fixing a SKT Proleague match, for which he received 5,000,000 KRW (or $4,450 US). In total, betters implicated in the scandal earned 40,000,000 KRW ($35,000) while brokers pulled in 30,000,000 KRW ($26,000). The Changwon Regional Prosecutor's Office and Korean e-Sports Association eventually realized YoDa purposely lost four matches, receiving $26,000 as compensation. "The association independently learned that Gerrard and YoDa were involved illegal betting from an anonymous source seeking a reward," the association said in a statement. "While investigating the case internally, we learned that the Prosecutor's office had made arrests and were holding an investigation, and we have been receiving legal advice since then." Yes, arrests. As it turns out, roughly 10 people have been implicated in this particular scheme. Most notably, Gerrard's payments were provided by eSports journalist Seong Jun-mo and two ex-gangsters. According to Fomos, Gerrard was reportedly in considerable debt, and may have become involved with the scheme to alleviate those concerns. Whatever legal trouble Gerrard and YoDa face now, they'll still have to change careers. "We plan to ban Gerrard (Prime head coach) and YoDa for life and permanently suspend their licenses," the association said. Gerrard also runs a League of Legends team, which is being run under the association to prevent operational delays.